Put that ambient heat to good use and turn your oven into a car with a batch of Car Baked Chocolate Chip Cookies. When it is over 100F outside, the interior of a car can reach up to 180F when left in the sun – hot enough to do some long, slow baking. The cookies turn out just like they would from the oven! You won’t need to turn on your oven and you’re car will smell like freshly baked cookies when you’re done, too. Oatmeal cookie fans can try Car Baked Oatmeal Chocolate Chip Cookies instead of the original. 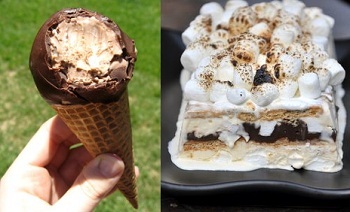 Classic s’mores are a great summer treat if you’re camping, but if you don’t already have a roaring fire going, try a S’mores Ice Cream Terrine instead. This layered dessert has all the elements of a s’more in a much more refreshing format. The terrine is made with ice cream, fudge sauce, marshmallows and graham crackers and it really does capture that s’more flavor! It can be made well in advance and served to a crowd for dessert or simply saved for treating yourself on a warm afternooon. Homemade Ice Cream Drumsticks are another great frozen treat for summertime. Starting with store bought sugar cones, you can easily customize this ice cream truck favorite with any kind of ice cream you like. Simply press the ice cream into the cone and shape it into a neat scoop. Chill, then dip into chocolate to coat. You can even dip the unset chocolate into chopped nuts, shredded coconut or sprinkles to give it a sundae-like look! 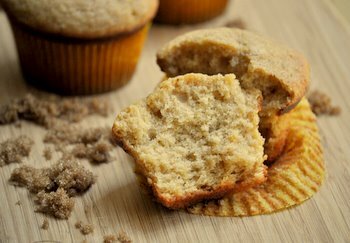 These are another treat that keep very well in the freezer if you take the time to make a good sized batch of them. Outdoor cooking is a lot more appealing than indoor cooking when it is hot. You don’t need to heat up your oven, and standing in front of a 500F grill actually makes you feel cooler! 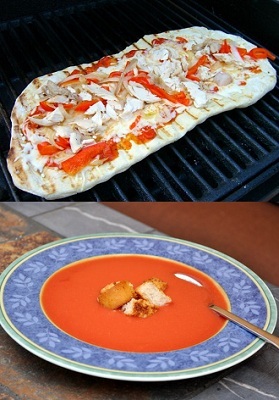 Grilled Pizza is a great summertime option and alternative to burgers and sausages. The dough can be made in advance and it only takes a couple of minutes of cooking on each side to finish the pizza. Keep the toppings light, because they won’t have as long to cook as they will in the oven. Finally, one last summertime favorite is gazpacho. This chilled tomato soup is not only refreshing, but uses up lots of fresh-from-the-vine tomatoes when they are at their best. Salmorejo is a type of Spanish gazpacho that uses a lot of olive oil and has bread incorporated into the soup mix. These two ingredients make the gazpacho exceptionally creamy, while keeping the great tomato flavor and losing none of the refreshment of the dish. You can also make a watermelon gazpacho for something with a sweet and spicy finish to it! 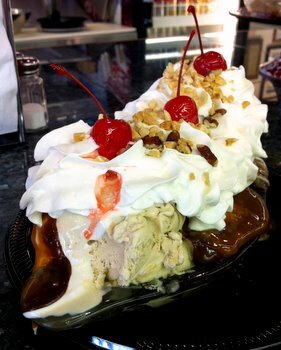 Previous PostPrevious What is a banana split? 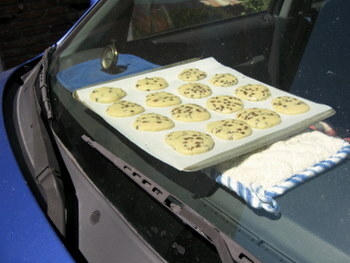 I love the idea of baking cookies in your car :o) It is a shame that the weather here doesn’t get warm enough to use it.